Luckily, even fierce warriors are willing to dole out backrubs for their favorite wizards. 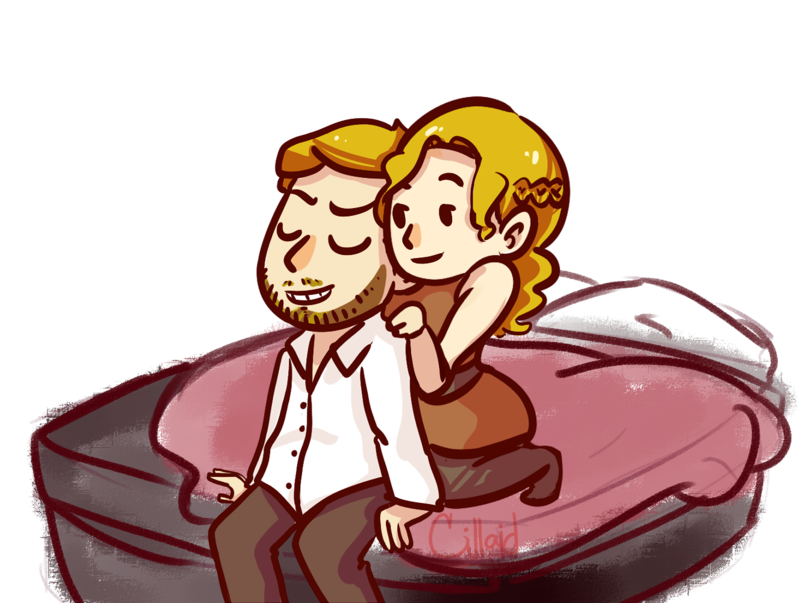 Characters Isaac and Rivka, the hetero couple from The Second Mango, drawn by Cillaid. Image | This entry was posted in Mangoverse, Uncategorized and tagged age gap romance, Art, back rub, books, cartoon, fantasy, fantasy fiction, feminist romance, older men, romance, warrior woman, wizard. Bookmark the permalink.